Andrew Manson’s solo exhibition titled 'All Year Round' focuses on the landscapes of Oxford month by month. Andrew Manson will reveal seasons and celebrations through his impressionistic technique. His recognisable style employs vivid colour and daring strokes to large scale canvases. In this Spring show Manson will return to The Jam Factory with a hybrid collection of works that examine the line between 2D and 3D. 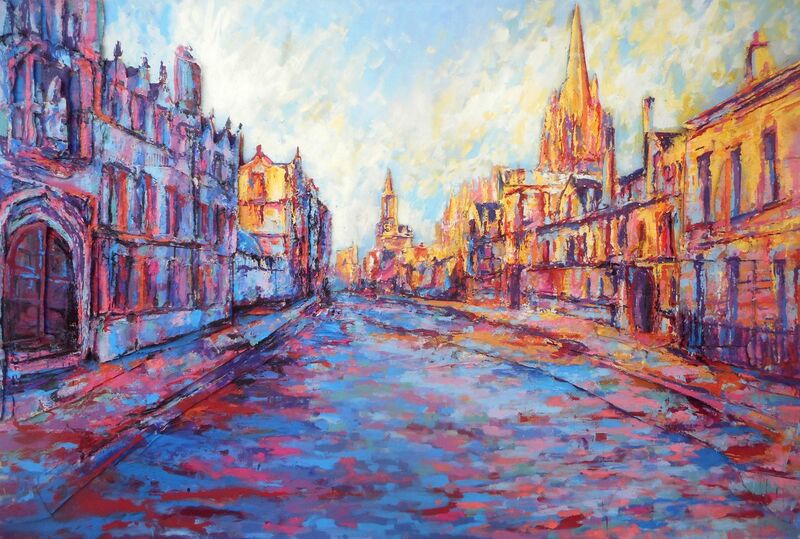 The viewer is invited to see, and to share in, the inimitable vision of Andrew Manson’s Oxford. He has spent his 26 years as a resident of the city, and has painted for 10 of them. Self-taught Andrew is inspired by the impressionist masters that practiced before him. This influence is evident, yet playfully made his own through his vibrant palette, as well as his interesting use of perspective. Exhibition runs until 1st May 2017 in The Jam Factory's Small & Large Gallery.